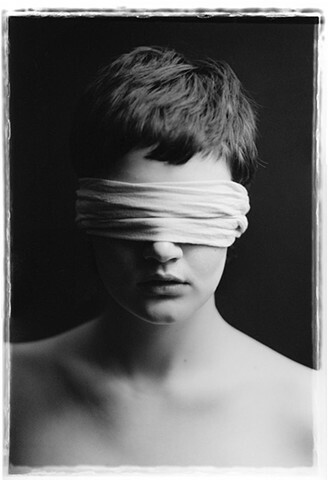 The 35mm B&W film photograph entitled 'Blindness' has had a profound political and social commentary, through many interpretations and appropriationism. By deliberate "borrowing". His photograph Blindness has had re-interpretations in a multitude of languages, social, political and religious contexts and ideologies and memes. Also has been used for medical, psychological and surgical papers on the subject of blindness or physical blindness. As a defining cultural image to various blogs, educational papers or been a companion to poetry, verse and novels and theatrical and dance productions. Blindness is used to represent many facets of life as an iconic symbol for freedom. Blindness has been graffitied on delivery trucks, walls, painted, re-drawn, sketched, collaged and juxtaposed with text and is continuously re-interpreted and appropriated and recontextualized. Willey feels it is very important to bridge all cultures and build a better compassion for all cultures by creating art to break down walls and open up a deeper dialogue. Blindness was exhibited at Rush Arts Gallery in New York City as apart of the ETHICS AND JUSTICE Exhibition Curated by Julie Ashcraft in May 2014.